(CNN) -- Five juveniles were in custody Tuesday after a 15-year-old was intentionally set on fire at a Deerfield Beach, Florida, apartment complex, police said. 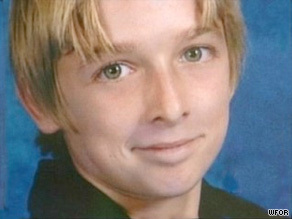 Police say Michael Brewer, 15, is expected to be hospitalized for five months. Michael Brewer suffered second-degree burns over 80 percent of his body. "He's in for a long, long recovery," Broward County Sheriff Al Lamberti told reporters. Three juveniles were arrested Monday night, hours after the incident, and two others were arrested Tuesday, sheriff's Sgt. Steve Feeley said. "A couple of them last night were laughing about it," he said. "One of them arrested today seems genuinely sorry about it." Neither Brewer nor the suspect went to school Monday, and the victim was waiting at the apartment complex for his friends when the suspect and two other people approached him, Feeley said. From what the suspects and witnesses have told police, the suspect yelled, "He's a snitch, he's a snitch" and "pour it on him." Another juvenile threw what police believe was rubbing alcohol on Brewer from a plastic jug and used a lighter to set him on fire, he said. Witness Provindencia Maldenero told CNN affiliate WPLG, "I saw a kid throwing something at the other kid, and next thing you know, the kid was on fire. He was up in fire." A resident used a fire extinguisher to put out the flames, and Brewer jumped into the complex's swimming pool, WPLG reported. Malissa Durkee, the teen's sister, told WPLG on Monday night that her brother was in critical condition. Lamberti said Brewer is expected to be hospitalized for five months. "In my 31 years -- I always say, 'it's the most heinous crime I've ever seen,' " Lamberti told reporters Tuesday. "This one fits in that category. The fact that a person would intentionally ignite another child on fire -- it's indescribable." Brewer "reported somebody for stealing his dad's bike," the sheriff said. "That's what this comes down to. It's retaliation. They deliberately sought him out, poured alcohol on him and set him on fire. I can tell you there's no way to explain it, no way to rationalize it." Police believe the three arrested Monday night took an "active role" in the incident, while the other two helped surround Brewer and prevented him from leaving, Feeley said. He said authorities are hoping to interview Brewer on Wednesday or Thursday.